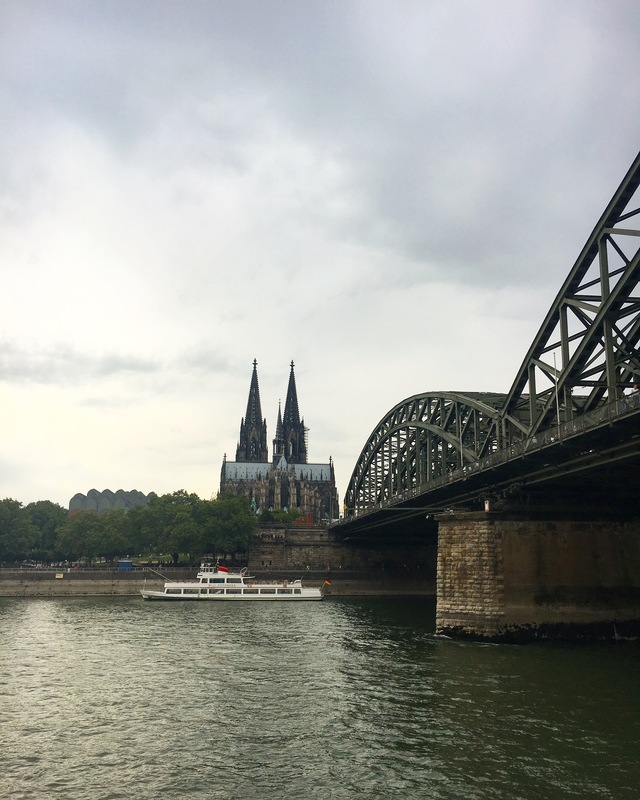 We ended up spending 2 nights in Cologne at the end of our road trip along the beautiful Romantic Road in southern Germany. 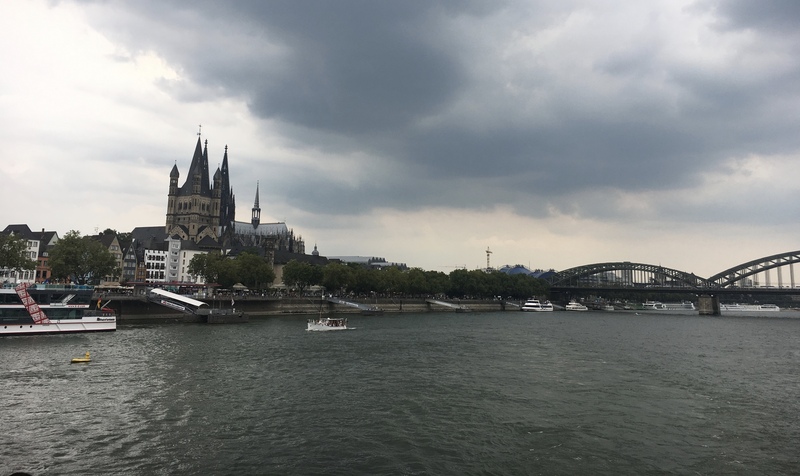 Cologne has been a travel hub since its beginning sitting on the Rhine River with numerous train routes in and out of the city. 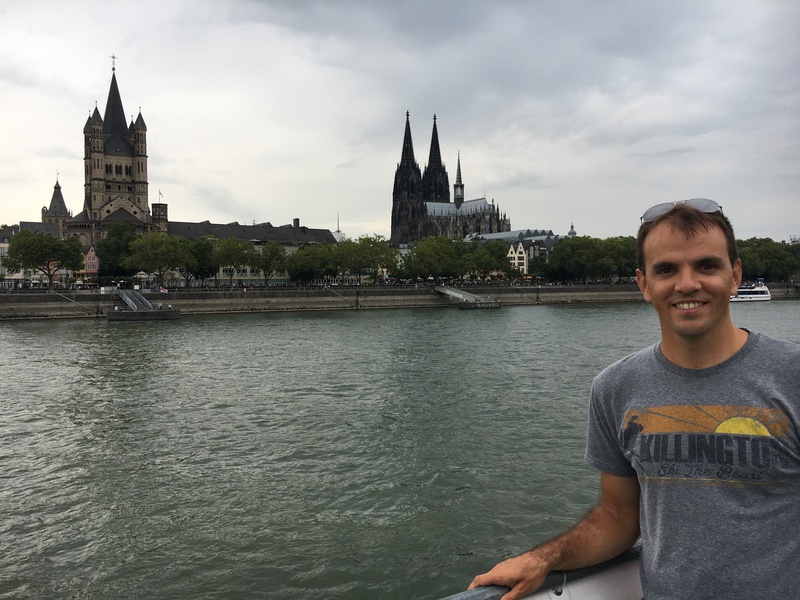 Much of the city was destroyed in World War II, but the parts that remain and the growth that has occurred since lead us here. 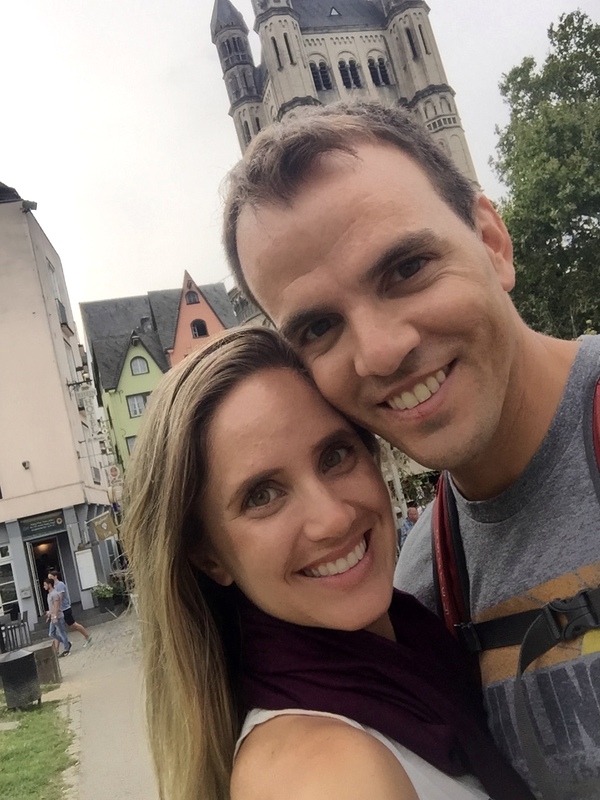 Actually, we did not have much planned for our one full day here, but as always we found our way to some of the top things to do in the city. First thing in the morning, we needed to replace our power converter that somehow disappeared somewhere between Wurzburg and Cologne. 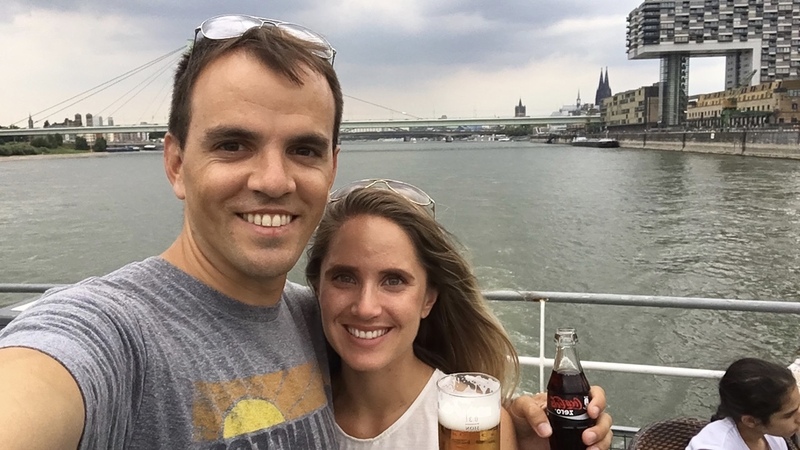 Having recently found the equivalent of Wal-Mart in Germany, we made a stop at Rewe and as expected got what we needed. 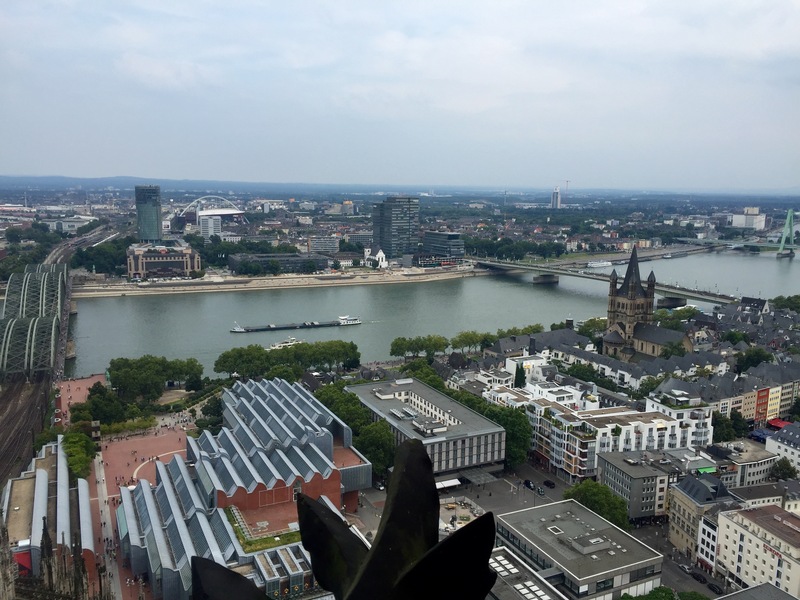 From there we were ready to explore downtown Cologne. 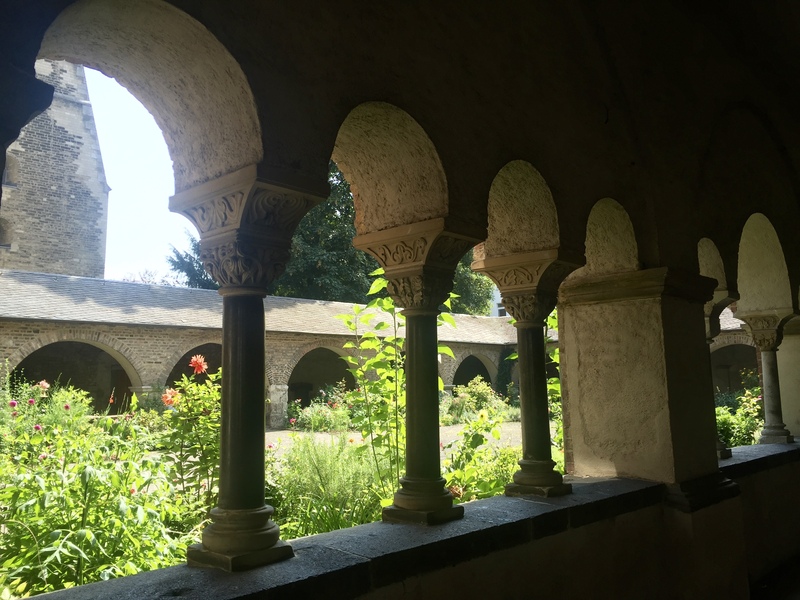 With a short checklist we stopped at St. Maria im Kapitol. 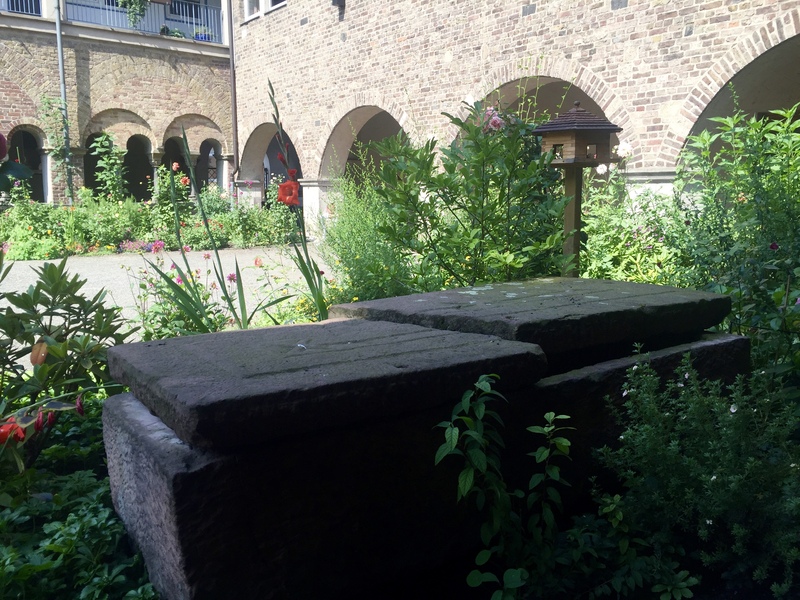 Hidden between apartment buildings, this 11th century Roman Catholic Church still holds services. 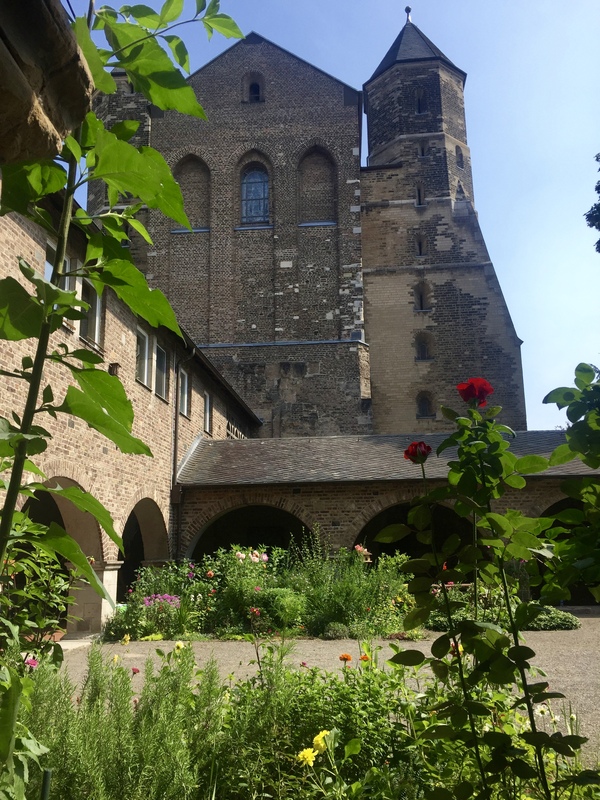 When we arrived we were greeted by a very kind elderly gentleman that gave us a brief rundown of the history of the church and even offered us a map/guide so that we could truly appreciate it’s history and significance. The history itself is amazing and the fact that it has been repaired to this point since suffering significant damage in World War 2 is incredible in itself. 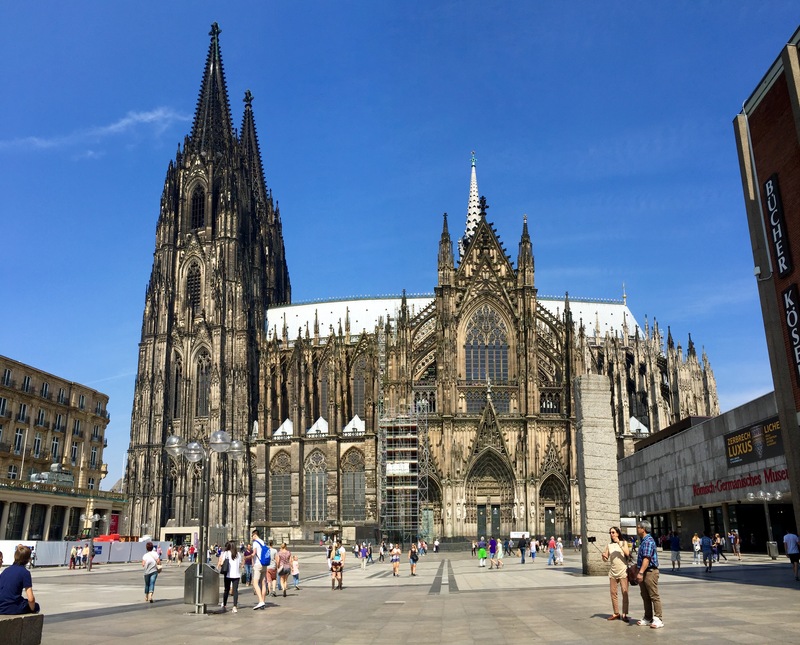 Next, we continued toward the city center until we were looking up at the impressive Kolner Dom (Cologne Cathedral) which is the largest Gothic church in Northern Europe. 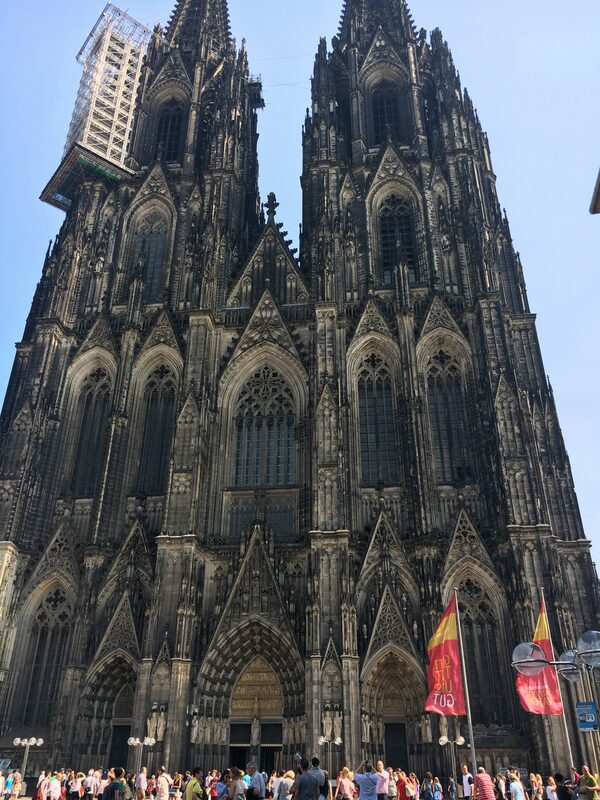 We somehow saw this gorgeous cathedral in 3 different parts throughout the day. First, we saw it from the outside and got all of our favorite pictures then went home for lunch. 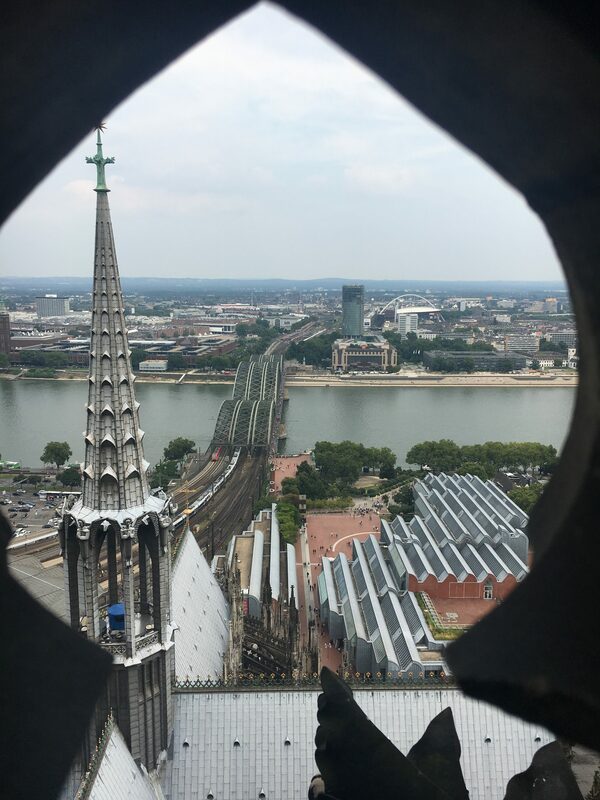 After lunch we returned to climb to the top of one of the spires, second-tallest behind the Ulm Minster which we recently visited. 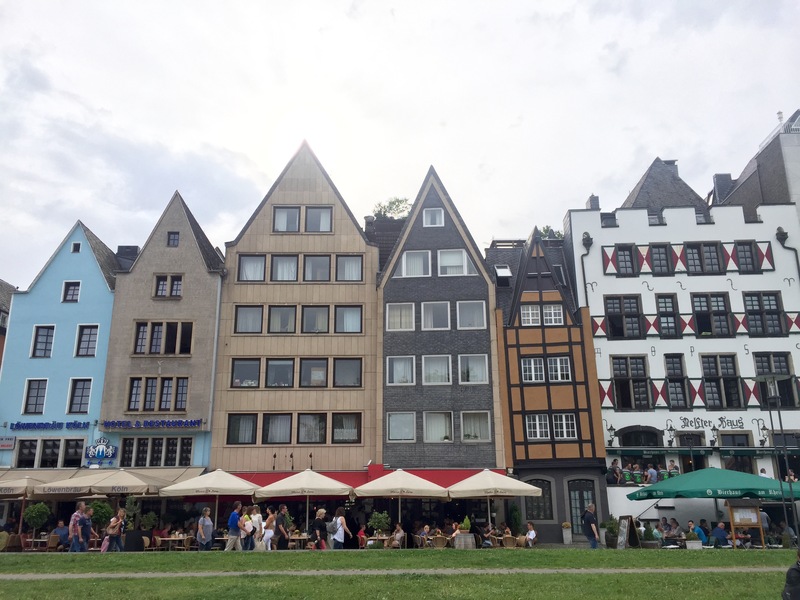 While having lunch at home, Whitney was able to book an inexpensive Rhine River cruise for that evening, so we were on a tight schedule for the remainder of the day. 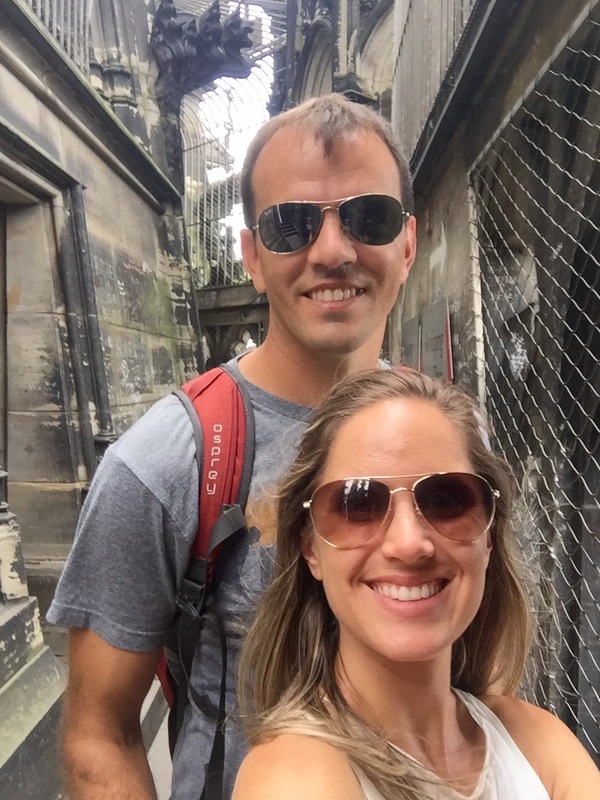 With the tour booked, we walked back to the cathedral and literally ran the 502 steps to the top. As expected, the views from above were spectacular. And as usual, the pictures do not do it justice, but we loved it just the same. Then it was a race back down and out to the river boat. We were a little rushed to getting to the boat, but still managed to get a couple chairs on the roof deck for a great view. The history of the area was spoken over the speakers on board in a couple languages that included English and was interesting to hear. The most enjoyable part however was just to relax in the breeze while we cruised up the river. Drinks and a few snacks bought on board made it even more pleasurable. 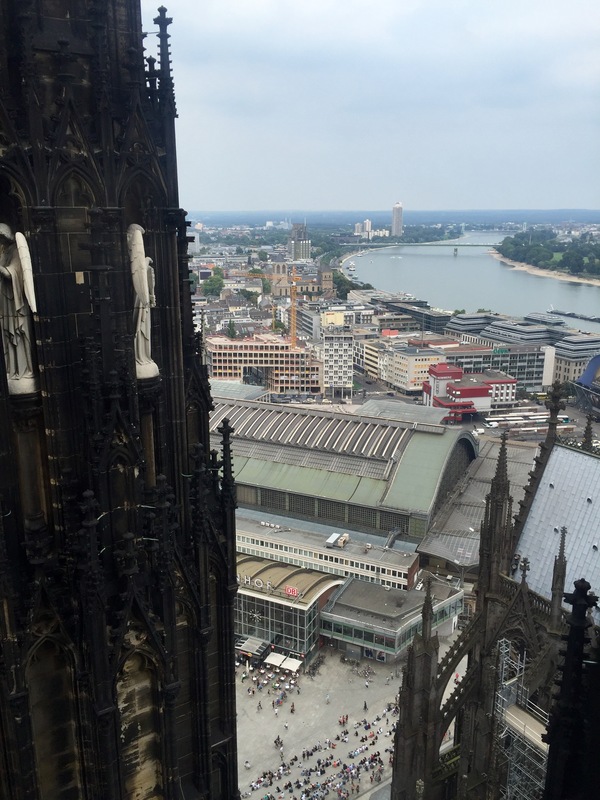 Our final visit to the Cologne Cathedral was in the early evening simply to explore the inside. 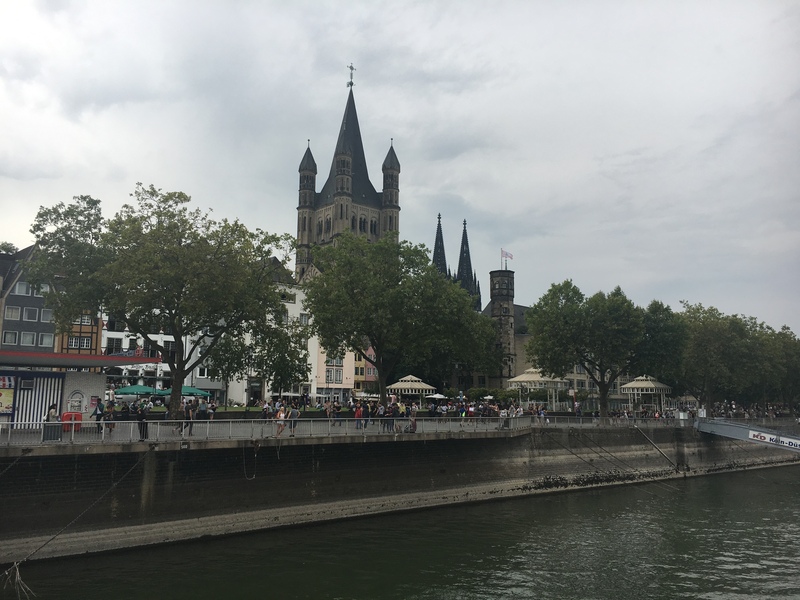 We disembarked our river tour on to the promenade that runs the western side of the Rhine River (we were running along this promenade on the way and didn’t even look around). 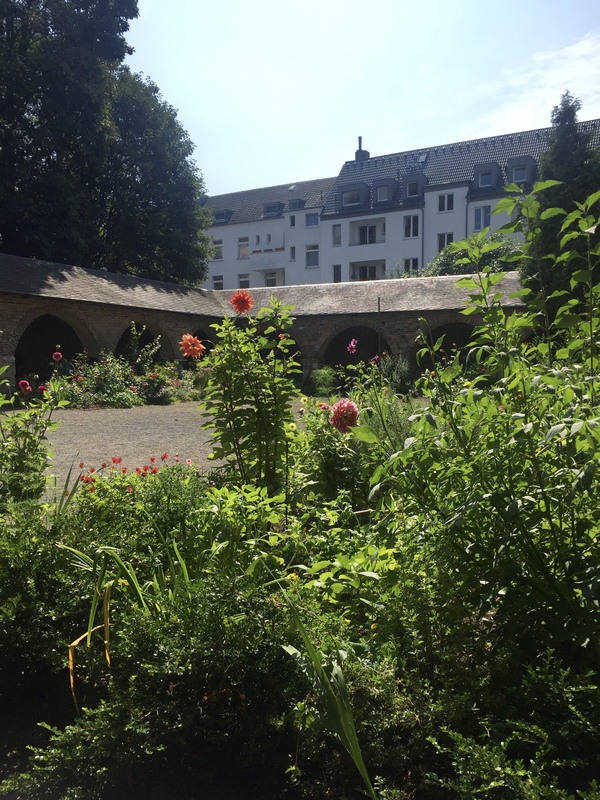 This area has become a park with many young people spread throughout the grass and on the sidewalks, with numerous restaurants and outdoor seating bringing life to the riverside atmosphere. We saved our money this time, but would definitely stop here for a drink or even dinner just to enjoy the lovely setting if we return. I would chose to come here rather than some of the other restaurants that we passed. 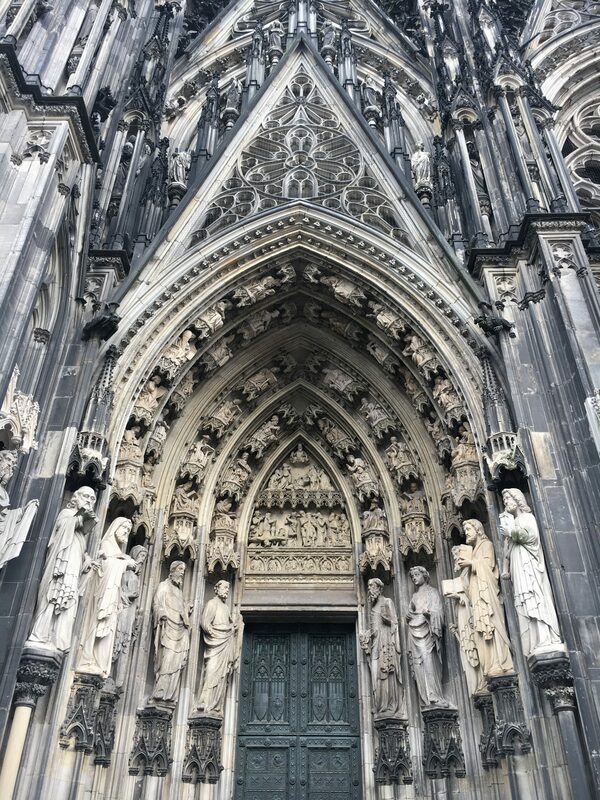 Then to finish our tour of the Kolner Dom, we needed to go inside. 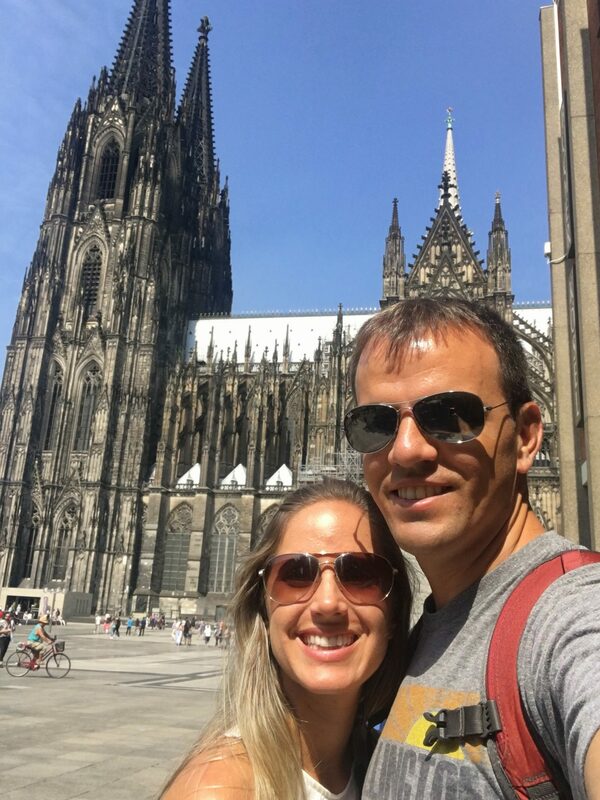 We headed around to the front and then took our time to wander through the inside of this enormous cathedral. As usual, I didn’t take any pictures of the inside of the church, but would say it is the main attraction in this city. 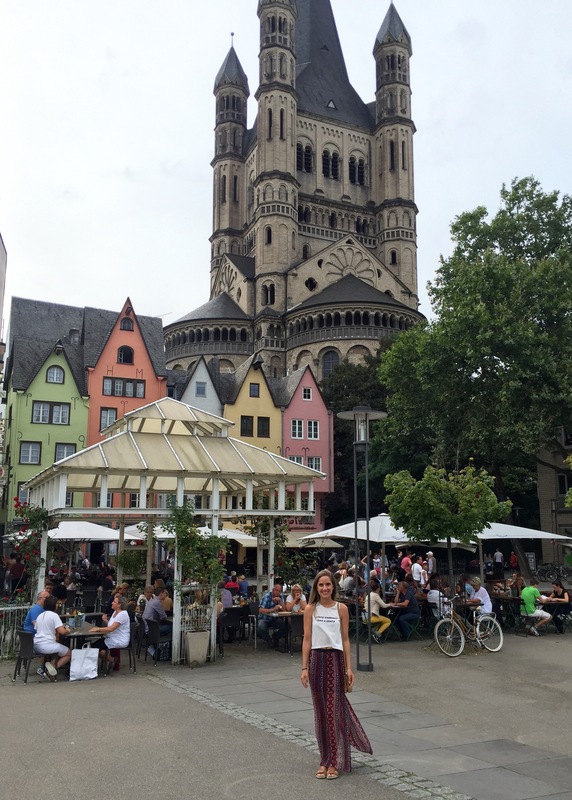 We really only skimmed the surface of Cologne, so we may need to pass through this town again someday. For now, it’s off to Belgium for some chocolate…at least that’s why I’m going.